What a wonderful journey this has been! But sadly it is time to put away my history books and research websites, and move onto another phase of life. Since the spring of 2011 I have researched and created hundreds of Horses and History blogs that I hope educated, informed and sometimes amused from time to time. 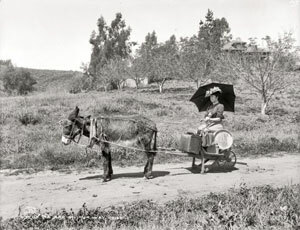 Cowboys and Indians rode into the western sunsets together with the diminutive British Stroller, war horses and a special donkey braved the horrors of battle, and racehorses with amazing stories rubbed shoulders with Kings, Queens, and the occasional horseperson who changed horses, and horse sport forever. Thanks to those who took the time to drop me a comment, and to those people who kindly pointed out any errors. 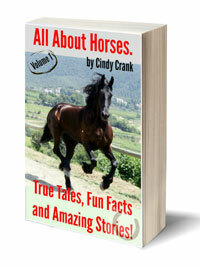 I have created a selection of my blogs and have made them into an ebook titled All About Horses. True Tales, Fun Facts and Amazing Stories. The link is to my website where you can click on the sales links like Amazon, Nook, Barnes and Noble and Kobo. On my website you can sign up for updates and news of Volume 2 that will be out by the end of the summer. You can download a free Kindle ereader from the same page if you don’t own a Kindle). However, never say never right? I hope Jennifer Anstey and her team will let me come back from time to time and post another story. It will be a story that strikes me as one that just has to be told, one that I cannot resist researching and writing about! This post just jumped out of my Feedly feed at me. Congratulations on an amazing archive of interesting articles. I’ve really enjoyed reading your blog and I will miss it very much. I hope it will still be on the web? The anthology is a wonderful idea! Good luck, and thank you!